Take your tangles to the next level with Zentangle®, Shaded with Certified Zentangle Teacher, Rosie Hill, on Saturday, February 14, 2015 from 1:30 p.m. to 3:30 p.m. at Coos Art Museum. Zentangles are beautiful in black and white, but shading can add dimension, interest and pop! Learn and practice shading techniques that will enhance your “tangles” or patterns. Six fun tangles will be taught. Previous Zentangle experience is recommended, but not required. The class fee is $30 for CAM members, $35 for non-members. 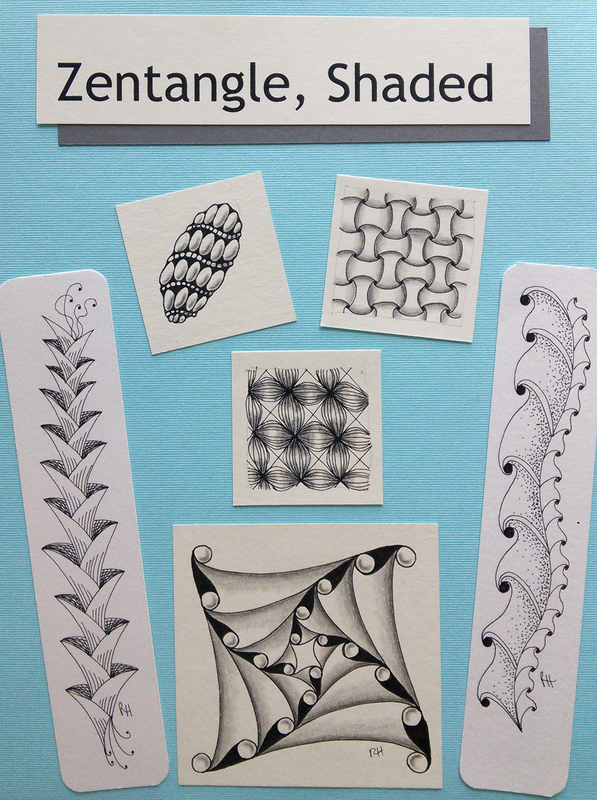 Participants will need to bring their Zentangle kit from Introduction to Zentangle. Rosie will have materials to purchase for those that have not taken the introductory class. Zentangle books and other supplementary materials will also be available for purchase. A limited number of scholarships are available for eligible teens to participate in this class. Class size: 6 min. / 16 max. Registration ends February 6, 2015. For online registration use the booking form below or contact the Art Education Dept. at (541) 267-3901.